The Minnesota Twins promote responsible drinking and positive fan behavior at Target Field. The Twins Fan Code of Conduct and the details of the Twins alcohol management plan that appear below ensure that fans have a safe and fun experience. All guests attending Twins events are expected to comply with the following Minnesota Twins Guest Code of Conduct. The Minnesota Twins are committed to creating a safe, comfortable, and enjoyable Target Field experience. Our Event Staff will proactively intervene to support an environment where: obscene or indecent clothing will not detract from the guest experience; guests will enjoy the baseball experience free from foul/abusive language or obscene gestures; guests will respect the safety of other guests and field participants; the throwing of any object is strictly prohibited; guests will refrain from displays of affection not appropriate in a public, family setting; intervention with an impaired or intoxicated guest is handled in a prompt and safe manner; guests will show their ticket when requested and sit only in their ticketed seat; the progress of the game will not be disrupted by guests’ actions or unauthorized persons on the playing field. The Minnesota Twins reserve the right to deny or immediately revoke admission to any guest that does not comply with these guidelines, or otherwise detracts from other guests’ enjoyment of the game. 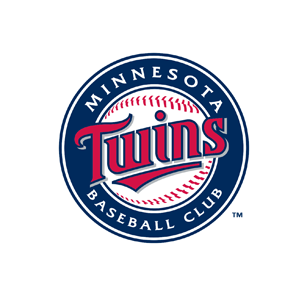 Guests are encouraged to report any disruptive behavior to the nearest member of the Guest Service or Twins Security staff. Guests may report security issues via text message to 612-659-3777. Please include your location and a brief description of the issue. Sponsored by the Minnesota Twins and Budweiser, the Good Sport program promotes responsible alcohol use and rewards designated drivers. For more information please visit any of the Good Sport kiosks located on the Main Concourse near section 130 and on the Terrace Concourse near section 222.